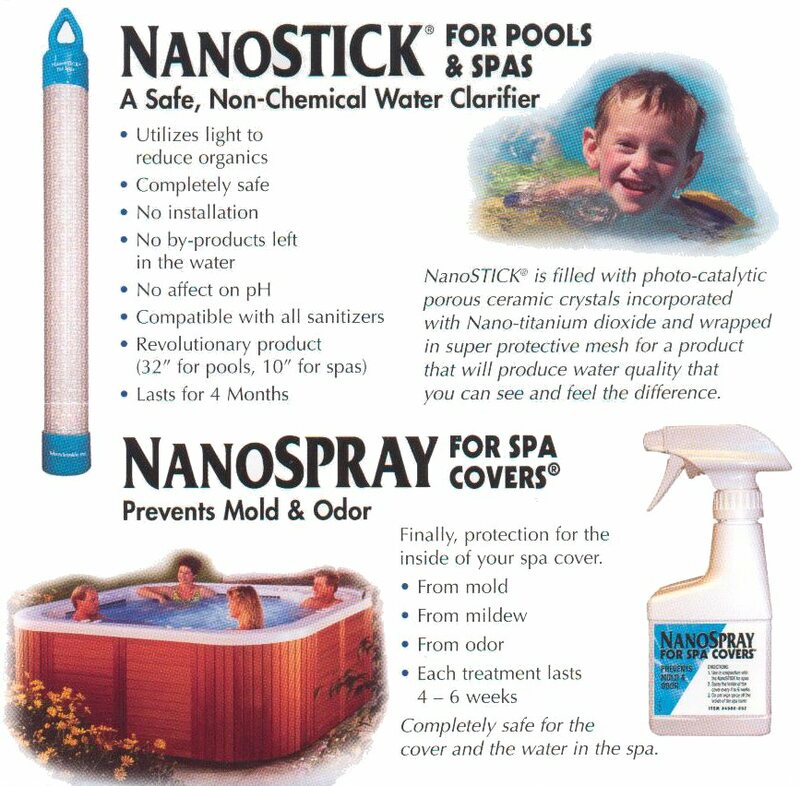 Spa Combo: One NanoSTICK® for Spas and one NanoSPRAY® for Spa Covers. The perfect way to make owning a spa a pleasure instead of a chore! Save when you buy both! NanoStick is a revolutionary new kind of water clarifier that ZAPS organics on contact! Ammonia, dead skin, hair, and any other organic simply disappears leaving your spa water crystal clear. No more chemical fumes. No more scrubbing the "ring around the hot tub." 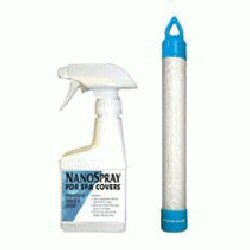 NanoSPRAY keeps the mold and mildew off your spa cover. First clean, then spray. Lasts for weeks. Another real time and energy saver.